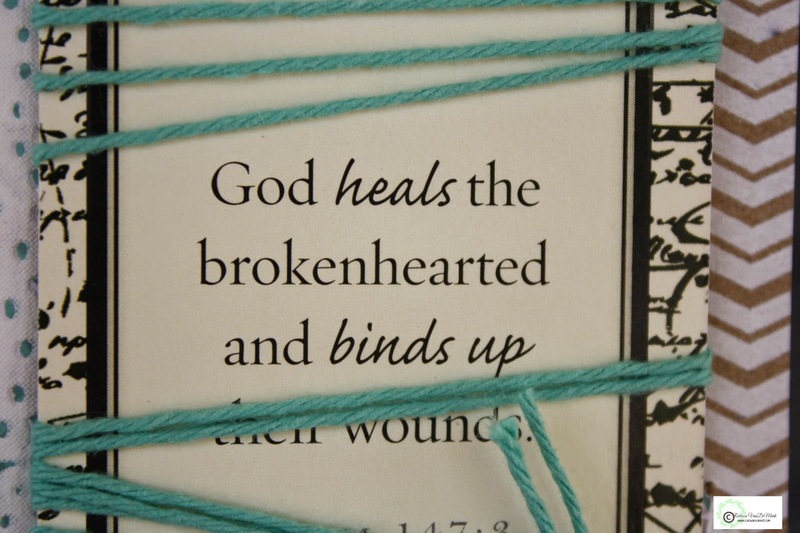 One of my favorite verses from the psalms states: "God heals the brokenhearted and binds up their wounds." (Psalm 147:three) This psalm has been so incredibly special to me throughout the years and especially through some extremely difficult days and nights. 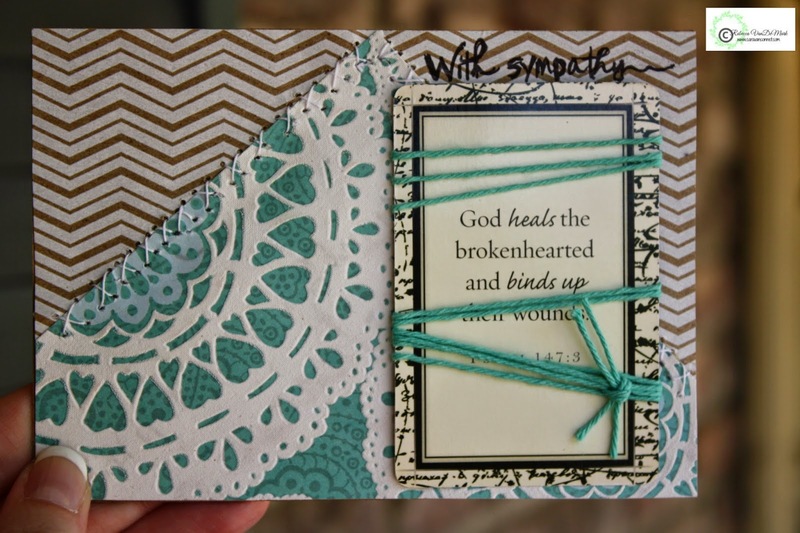 Last month a friend of my sisters lost his father and my sister asked me to make a sympathy card. I wanted something that would be simple yet comforting and something that would bring a touch of hope to this most difficult situation. I wrote out the words "with sympathy" in black pen but did not make them "pretty" looking as I don't think that grief is ever pretty. 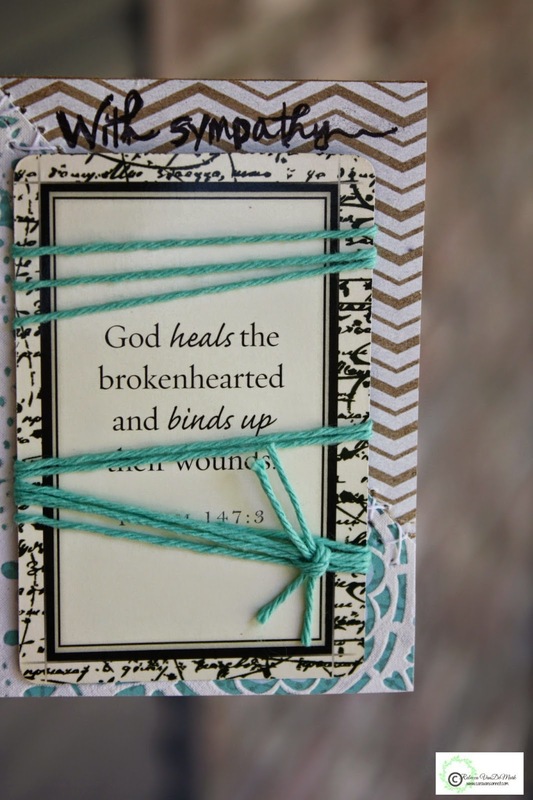 Its completely messy and in the midst of that I love that the Lord heals our pain. 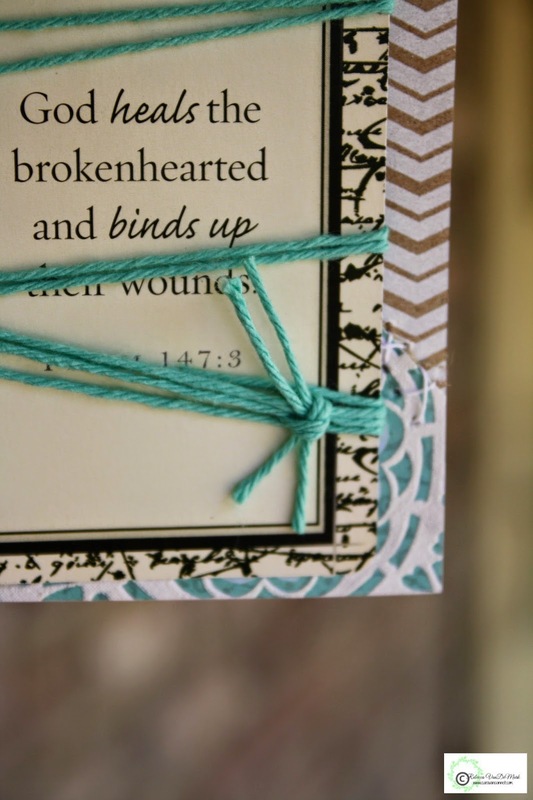 This verse talks about "binding up" the wounds of those who are brokenhearted. 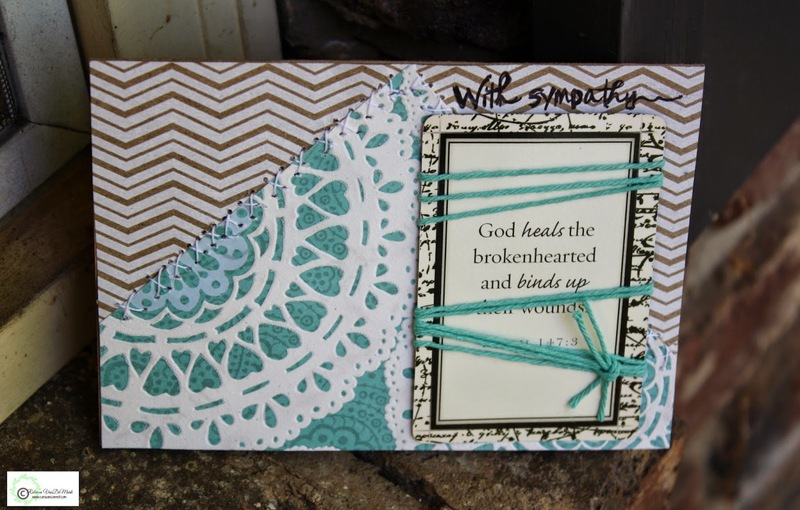 I love this truth and took twine to wrap around the card to illustrate it. The card was for a guy so I didn't want it to be girly in the least but still wanted to add some stitching. 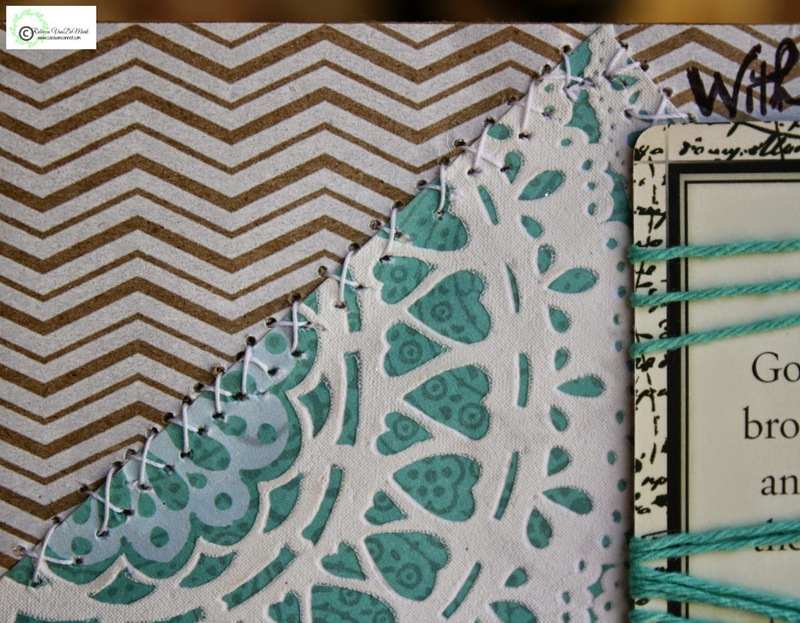 Using vintage white thread I roughly hand- stitched the two patterns together. Praying the truth of these words would comfort all who are brokenhearted. Gentle hugs friends! 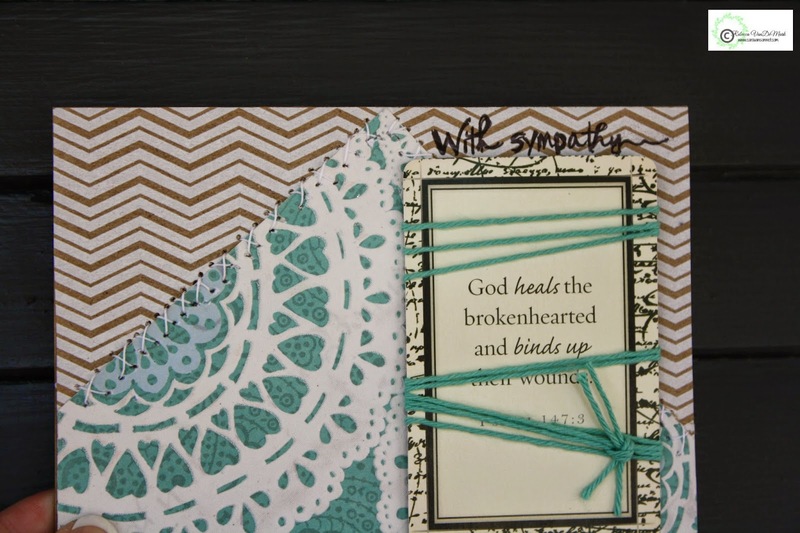 Love this verse - Love this card! Adorable Butterfly Bunting Now Available in Shop!